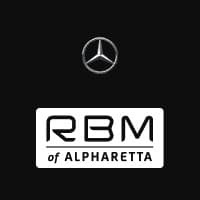 When you’ve determined that a luxury SUV is in your future, the new Mercedes-Benz GLS 450 is the way to go, and this model is available for sale now in Alpharetta, GA. With unparalleled performance, distinctive design, and intuitive technology features, the GLS 450 is tough to beat, and you can’t go wrong when you browse the inventory at RBM of Alpharetta. Contact our team today—we’re happy to help get you behind the wheel of this stunning SUV. In the latest GLS lineup, the new Mercedes-Benz GLS 450 stands apart, with a 3.0L V6 biturbo engine that churns out 362 hp and allows you to tow up to 7,500 pounds. That performance level is matched by sheer refinement in the cabin, thanks to premium interior lighting, stylish trims, and available Nappa leather. That’s not to mention the GLS 450’s sheer functionality with features like optional 3-zone climate control and available Power EASY-ENTRY second-row seats, alongside technology extravagances such as an 8-inch high-resolution color display screen, an available backseat entertainment system, and an optional in-car Wi-Fi hotspot. The new Mercedes-Benz GLS 450 allows you to upgrade as you like, so that your driving experience will be utterly unique and creatively customized to your liking.